The Himalaya, greatest of the earth's mountain systems, spreads in an immense, ice-capped crescent 2,000 miles across the heart of Asia. Its peaks form a watershed, both for physical environments and human cultures. To the south, it traps most of the moisture-laden monsoon, returning its waters via myriad rivers to the fertile, populous plains of northern India. To the north, the range presents a crueler aspect, denying the warmth and moisture of the south. Reflecting instead the icy winds of the Siberian steppes, it creates a harsh desert, sparsely populated by nomadic peoples. 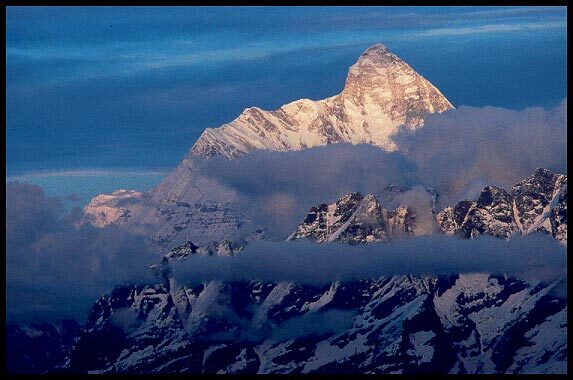 The word Himalaya has a Sanskrit origin in hima, meaning snow, and alaya, meaning home. The mountain chain was born about 40 million years ago when two plates of the earth's crust collided, thrusting up the intervening seabed of soft limestone. It is believed that much of this action has occurred within the last two million years, causing an unprecedented geological growth of 10,000 feet which continues even today--when the troops of Alexander the Great invaded India in 327 BC, the Himalaya was 600 feet lower. Due to the soft limestone composition of the Himalaya, rivers which existed before the great upthrust have kept pace with the mountains' growth, cutting the world's deepest gorges through the ridge lines. These rivers divide the chain into distinct ranges, each with its individual appearance and environment. The western flank of the Himalaya Range is composed of the Hindu Kush, Pamir Karakoram and Hindu Raj. Together, these peaks stretch over 900 miles forming a. "great divide" between central and south Asia They comprise one-third of the Himalaya's total length and include many of its major peaks. The Hindu Kush rises out of the desert waste of the Iranian plateau. Sprawling across the heart of Afghanistan, it assumes true Himalayan proportions only as it joins with the Pamir and Karakoram Ranges. Here, in Pakistan's Chitral District, we find the fluted peaks of Tirich Mir (25,230'), Istor-O-Nal (24,281') and Noshaq (24,573') towering over valleys where rushing, glacial torrents cascade from the snowy crests. The beauty of its peaks is mirrored to the east by the exquisite Hindu Raj. Forming one of the most awesome environments on earth, the Karakoram soars from the Wakhan Valley in northeastern Afghanistan, extending its icy ramparts 300 miles across northern Pakistan and ending in the high, arid plains of the Tibetan Plateau. Containing hundreds of peaks over 20,000 feet, it culminates on the east in the almost perfect pyramid of K2 (28,250'), the world's second highest mountain. Surrounding K2 are concentrated the four summits of the Gasherbrum Massif and Broad Peak-all over 26,000 feet. Beneath these towering mountains, giant glaciers such as the Siachen, Hispar and Baltoro create a world of black ice, snow and rock of fantastic proportions. 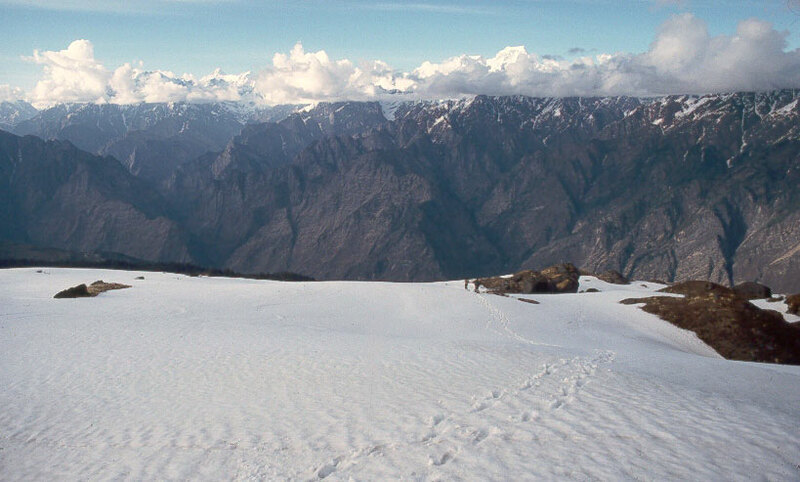 The western Himalaya offers incredible extremes in climate. Where it is touched by the subcontinent's monsoon, the slopes are covered with lush, alpine forest-as in Nuristan, Swat, Dir and parts of Chitral. 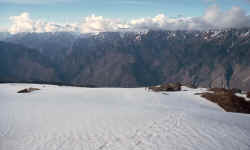 Denied the monsoon rains, the mountains become high altitude desert, the rivers fed only by snow-melt-as in the western Hindu Kush, Upper Chitral, Gilgit, Hunza and Baltistan. Here, the land blooms only by arduous husbandry with intricate canals and terracing. In remote valleys, scattered amongst the ranges, lie isolated pockets of hardy mountain people-many living on the edge of survival. In this harsh land, simple pleasures take on heightened importance-dance, song and polo are the major pastimes. The diverse racial origins of the people include Indo-Aryan, Turkish, Mongolian and aboriginal Dardic tribes, united by the common bond of Islam. 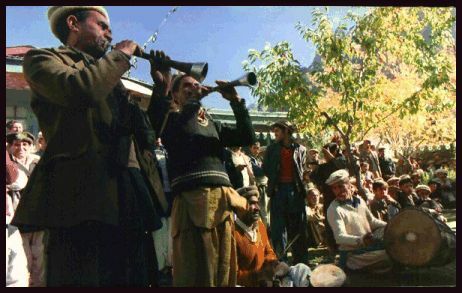 The Kalash tribes of the Chitral District are the only exception to this religious unanimity. 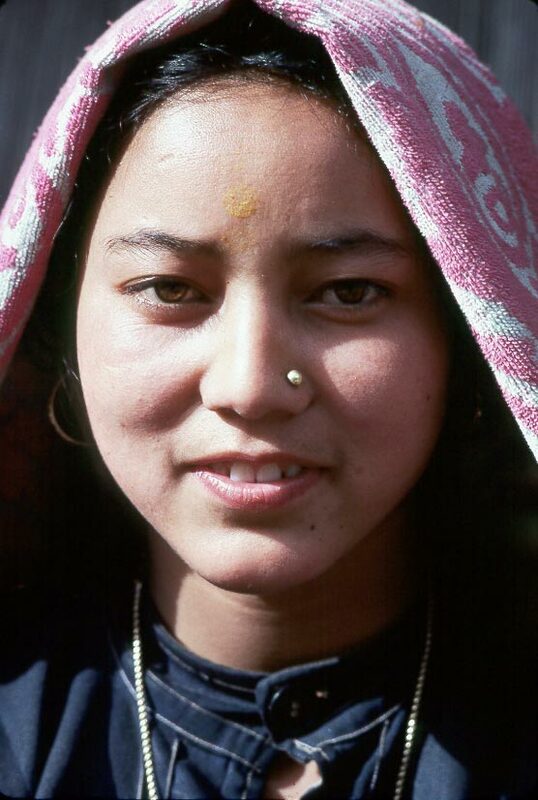 These people, who dwell in the three isolated valleys of Birir, Bumboret and Rumbur, cling to an ancient culture and religion that once held sway over the entire Hindu Kush. Kashmir, India's most northerly region, is crowned with lofty snow-capped mountains of the Himalaya and Karakoram Ranges and adorned with sparkling blue lakes and lush green valleys. 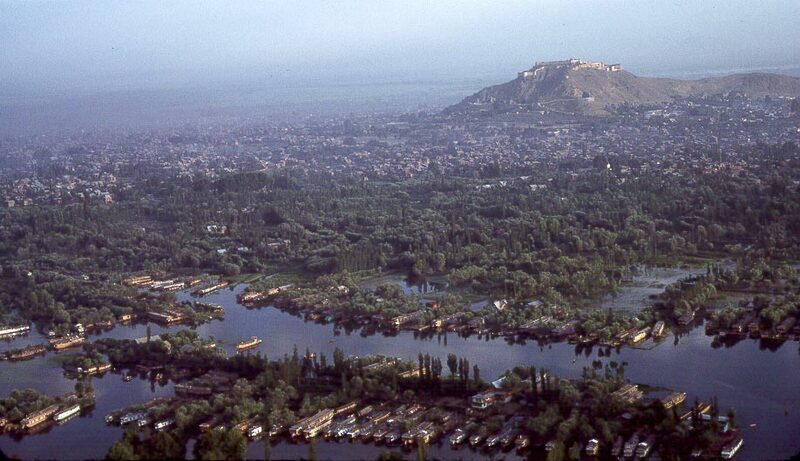 Kashmir's peoples and cultures are as varied and colorful as this mystically beautiful land itself. Buddhists, Hindus, Muslims, Moghuls and Sikhs, all contributed to the variety of races, traditions and national costumes that existed in relative harmony up until the recent past. Unfortunately, this diversity is one of the major causes for the present difficulties in the Vale. 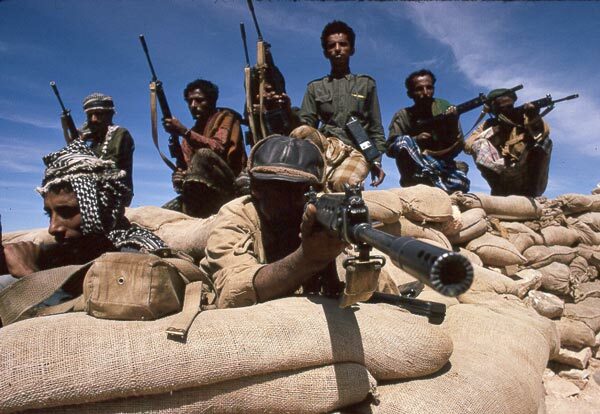 In 1989, Islamic militants began an organized rebellion against the central government of India. Far from being unified in their goals some of these mujahedin (warriors for God) want unification with Pakistan, others independence, while still others varying degrees of autonomy from India. The why and wherefore of this conflict are too complex to even touch upon here. Suffice it to say that almost ten years later, and thousands of deaths, little progress has been made toward a final settlement. The vagaries of human folly aside, the legendary Vale of Kashmir is a legend that actually exists. An 80-mile long by 20-mile wide valley that is surrounded by fir-clad mountains, it is one of the most unforgettably beautiful places on earth. Ladakh and Zanskar are some of most rugged and remote areas on earth, lie in northeastern Kashmir. They includes 70% of Kashmir's total land but only about two percent of its entire population. The land ranges in altitude from 8,000 to more than 28,000 feet above sea level and it is one of the highest inhabited places on earth. 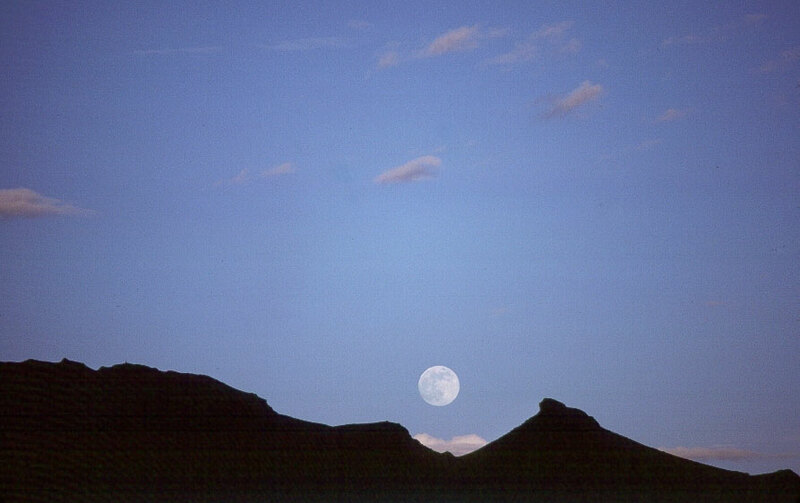 This arid, mountainous region was under the sea at one time in the earth's history, but it is now a vast desert of bare crags and empty plains-scenery so awesome and forbidding that it is known as the "Moonland". 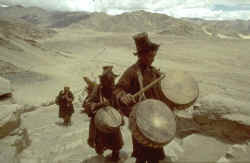 The population descended from the original Mongolian traders who came from Tibet. Later, Ladakh became part of the Tibetan empire, and Tibetan influence has remained strong there for the last several hundred years. 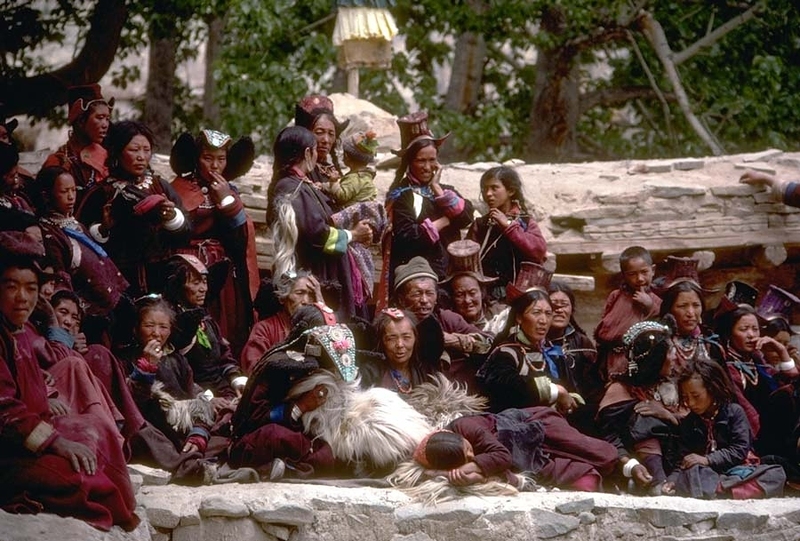 A majority of the people is Buddhist and the Zanskar and Ladakhi lamas preserve Tibetan Buddhism in its purest surviving form. 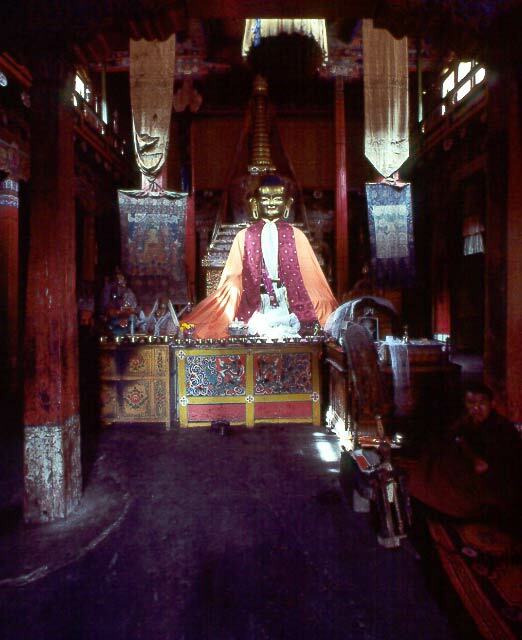 Inside the monasteries, where butter-wick lamps constantly burn, are images of Buddha and walls decorated with intricate paintings and rich tapestries. The Garhwal, lying in the extreme north of India's Uttar Pradesh State, is a 275-mile expanse of the Great Himalaya Range, separated from the Punjab Himalaya to the west by the Sutlej River and from the Nepal Himalaya to the east by the Mahakali River (the Indo-Nepal border). 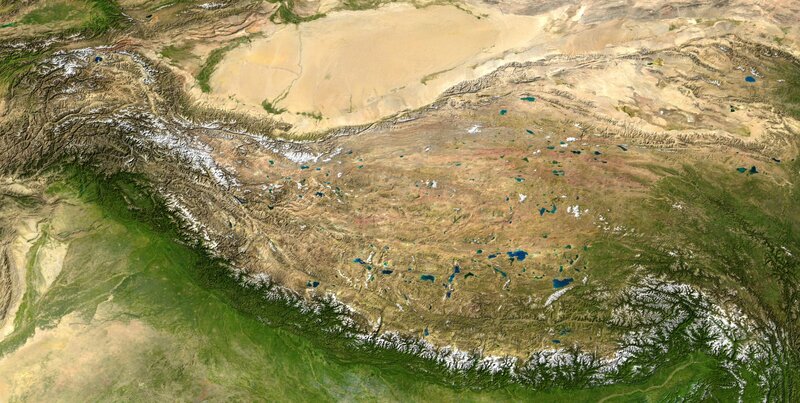 Its northern-most peaks form the international watershed marking the border between India and China (Tibet). This border is pierced by 17 major passes, varying in height from 16,500 to 19,000'. Until the border was closed in 1962, these passes were major avenues of trade and religious pilgrimage between Tibet and the outside world. On the south, the Garhwal is bordered by a thick belt of jungle and swamp known as the Terai. Beyond, on the plains of India, the people have long believed these mountains to be the abode of their gods. 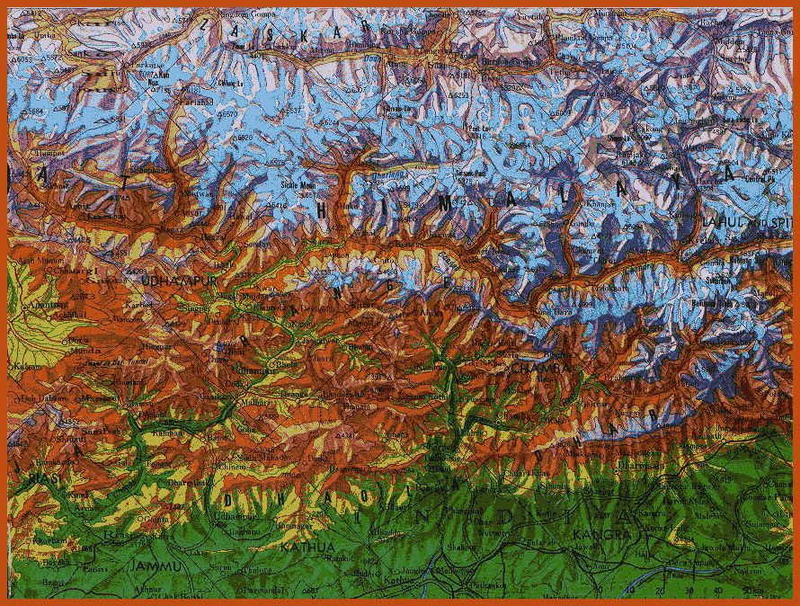 As the source of the Ganga and Yamuna Rivers, the high peaks provide the major setting for much of Hindu myth and literature. The deep-cut valleys are dotted with sacred shrines-ancient destinations for countless pilgrims. Thousands of years ago, the Garhwal was peopled by Kirats and Nagas, aboriginal peoples who inhabited the entire Himalayan region. They mixed with migrating Aryan herdsmen and later with Mongol invaders from Tibet. 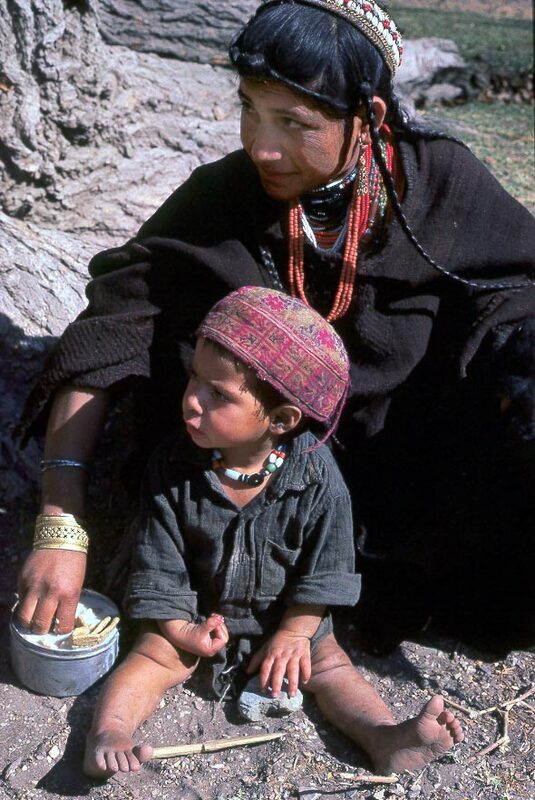 Today, their descendants survive in numerous distinct tribal communities. An interesting example is the Bhotia, traditionally traders who crossed the high passes each summer to attend the great commercial fairs of Tibet. 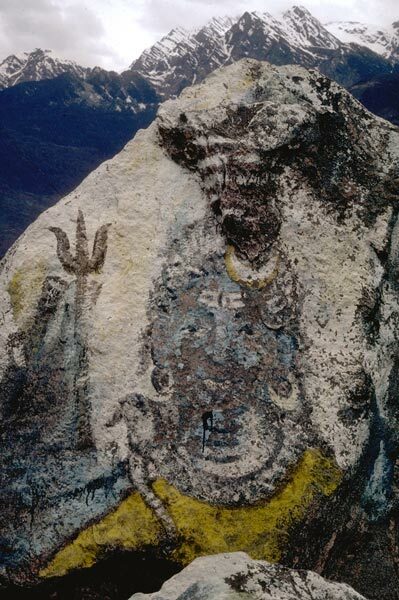 Although closely resembling Tibetans, they are Hindus particularly devoted to Shiva. The myriad dialects spoken in the valleys are basically variations of Garhwali or Kumanni, which in turn are derived from Hindi. In the northern border area there is, of course, a strong Tibetan influence and due to seasonal migrations, Gorkali and other Nepalese dialects are also often heard in the bazaars. The monsoon, spends its final fury against the barrier of the Garhwal during the summer months. This causes severe flooding, and heavy snow blankets the region in winter. Thus, travel is restricted to May-June and September-October While good weather is the rule during these periods, there may be occasional storms, and there is an incredible range of climates as the land drops from arctic peaks and glaciated upper valleys to the tropical jungles immediately below.